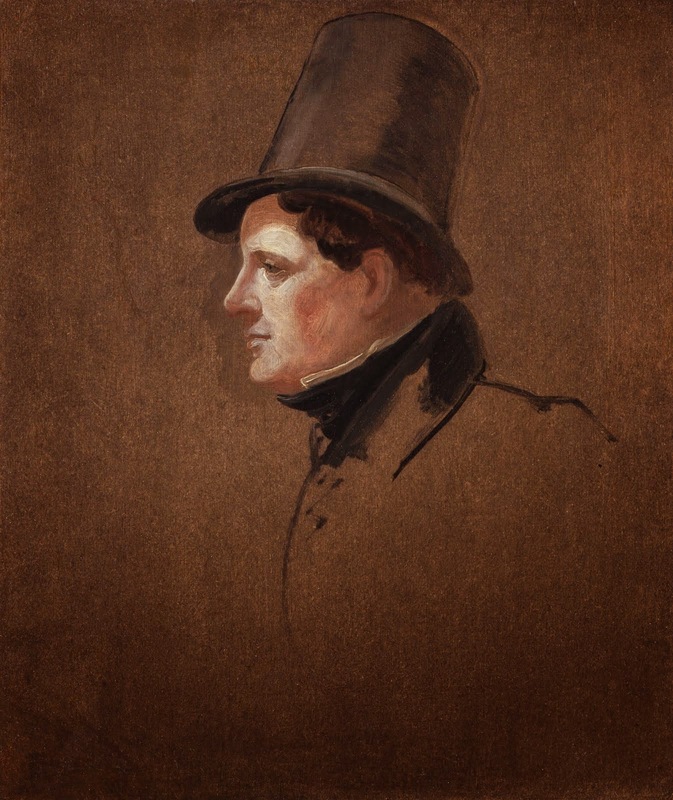 WHILE Irish patriot Daniel O'Connell is most remembered for his fight for Catholic emancipation, Catholics' rights to sit in the Westminster Parliament, and repeal of the Parliamentary Act that combined Great Britain with Ireland, drinkers at a pub in Dublin raise their pints to him today for a far more bizarre reason. Three times an MP, and for two years Lord Mayor of Dublin in 1841-42, the philosophies of Daniel O'Connell have also been quoted as inspiring Mahatma Gandhi in his fight for Indian independence, civil rights leader Martin Luther King in his against racism in the United States, and even English novelist William Makepeace Thackeray in his writings – in particular his famously satirical portrayal of English society, Vanity Fair. 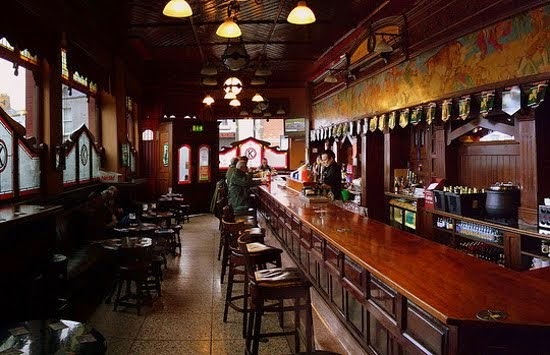 But it is drinkers at Kavanagh's Pub on Prospect Square in Dublin who today salute O'Connell for more down-to-earth reasons: ensuring that their watering-hole stands 180 years after it's almost certain demise. Kavanagh's is certainly worthy of a visit if ever you are heading to the Irish capital, both for that history and the fact it's been run by six generations of the one family since 1835 after having being saved by the patriotic Daniel O'Connell. A John O'Neill opened the pub on the-then outskirts of Dublin in 1833, hopeful that he could cash-in on the year old Glasnevin Cemetery next door by hosting wakes for the bereaved, and even stepping-in as an impromptu undertaker. But although the gates to the cemetery were so close to his pub, the road linking city and cemetery – a toll road as was often the case with cemeteries at the time – ran in the opposite direction to the pub, so mourners would go straight back into town for their wakes. Enter O'Neill's friend O'Connell, who offered to help the publican attract customers from the thousands of Dubliners who would ultimately have loved-ones buried in the Glasnevin Cemetery. 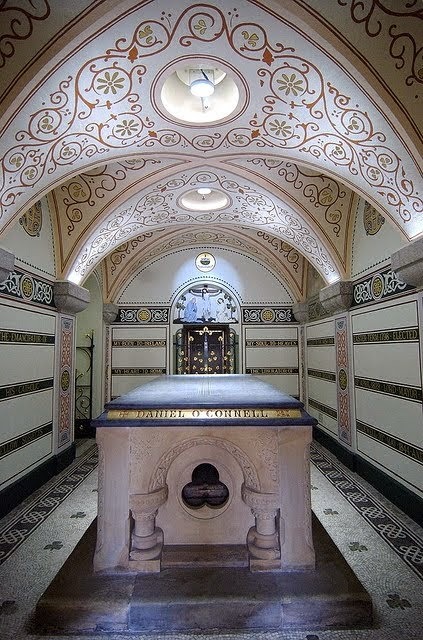 And O'Connell did so in a most bizarre way: he lobbied the government to have a new road built from Dublin to the cemetery, with the lofty virtue of it being toll-free – and thus not a financial imposition on mourners in their time of pain. And because it could not follow the existing toll-road, it had to approach the cemetery from the opposite direction… which meant passing right by the front door of Mr O'Neill's next-door pub. THE ELABORATE tomb of Daniel O'Connell. So appreciative was the grateful publican that when that road was finally opened, he declared that the only beer served would be O'Connell's Ale… which just happened to be brewed by the son of Daniel O'Connell. And inevitably there would be a stop-off on the return as well. O'Neill prospered, but after just two years handed over the business to his son-in-law John Kavanagh when the latter married O'Neill's daughter Suzanne. 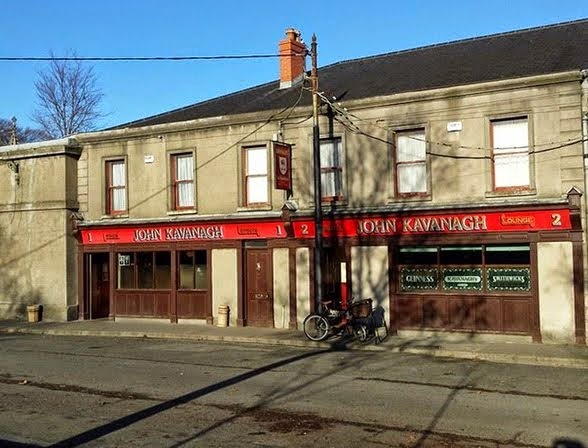 The pub then took the younger man's name – and has been John Kavanagh's ever since, John and Suzanne's having an amazing 25 children to ensure there would be plenty of descendants to keep the pub in family hands. Current publican, Eugene Kavanagh is the sixth generation of the lineage. And while its officially John Kavanagh's Pub, to most locals it's more-generally known as "The Grave Diggers" – in deference, they'll recall to visitors, to the early days' cemetery workers who would bang on the back wall of the pub with their shovels for barmaids to pass beers through a special hole cut there to avoid them coming into the pub in generally muddied boots and coats. A third and newer "main road" now leads to the Cemetery (now re-named Prospect Cemetery, with an amazing 1.5m graves of the deceased crammed, in some places, virtually head to toe and shoulder to shoulder.) 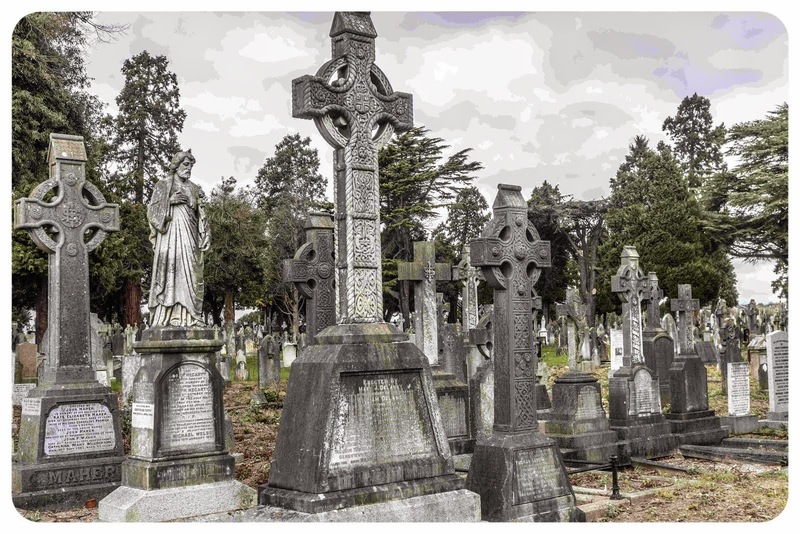 If you're visiting Dublin and taking a few at Kavanagh's, drop into the cemetery as well to see the graves of the likes of one-time Ireland President Eamon de Valera, poet Brendan Behan, Home Rule advocate Charles Stewart Parnell – and Luke Kelly of the iconic folk group, The Dubliners. 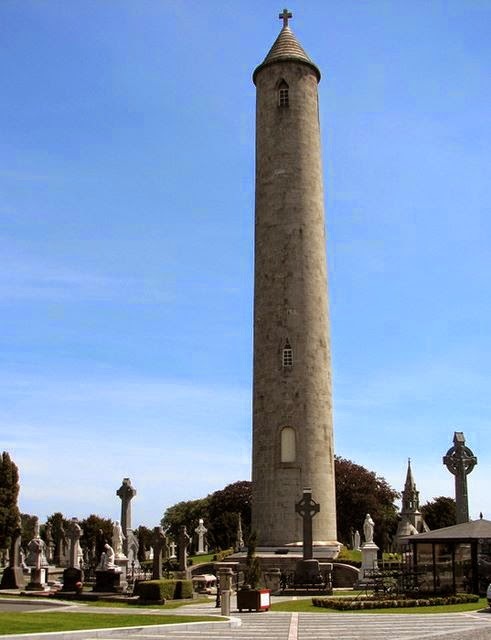 And the extraordinarily elaborate tomb of Daniel O'Connell… under a massive tower that dominates the cemetery.